This week has completely run away with me! As though a troupe of leprechauns arrived with little rucksacks and sleeping bags, having decided to camp out on my floor. Such disruption! I have tripped over them in the dark, found their laundry heaped in the dishwasher, a bottle of Extra Old Cognac ... drained (yes, the little people do enjoy a drink), and two litres of pineapple juice have simply disappeared. (Did they mix that with the cognac? Yuck.) And I can’t even speak of the mess in the bathroom. 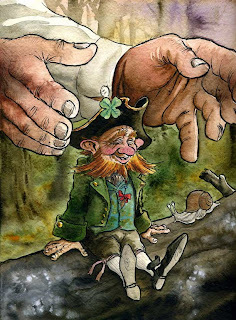 The leprechauns eventually moved on to pastures new, just before I took delivery of 3 hand-carved screens, which came all the way from India. How exciting! I immediately unpacked the grubby boxes on the boring beige carpet in my living room. I knew my attitude was cavalier. But dust can be vacuumed up. Not until all 3 screens were out of their packaging and arranged with abandon around the room, did I notice that my hands were not grey with harmless dust, but dark brown and sticky with ... VARNISH. The screens had been packed before they had dried! And the marks on the carpet could not be sucked up with the vacuum, although I tried and tried. The carpet is stained with VARNISH. Happy Lunar New Year! We are now in the Year of the Ox, and I sense a stabilising influence already. I have not researched the significance of the Year of the Ox; the influence of which I speak is only my interpretation of information received from the telepathic highways. 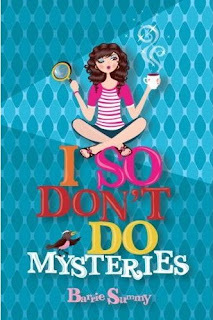 A down to earth fact, however, is that Barrie Summy’s debut novel, I So Don’t Do Mysteries, is a totally fantastic read. So here I am spending spring break in California with my best friend, Junie. Our chaperone is a teenager, like us. And soon I’ll get to hang out with the coolest, cutest boy in the Southwest. Life is so good. 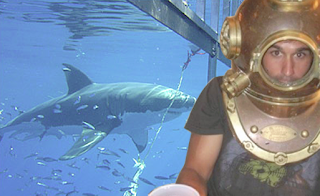 Except I should tell you that I’m not in San Diego for fun. Even though I’m a normal person who likes normal stuff—friends, clothes, the mall—I’m supposed to be solving a mystery, one that involves a rhino heist and a crazy chief. And I have to do it because my supercop mom is counting on me. Did I mention she’s a ghost? A ghost who can make contact with only one person. Me, Sherry Holmes Baldwin. My mom is flunking out of the Academy of Spirits, and if I don’t help her, she’ll be banished to an afterlife for ghost failures. But . . . I so don’t do mysteries. Barrie has an energetic and catchy voice. It is infectious. And that, together with well-drawn characters, a fabulous plot, and truly great pace, kept me turning and turning the pages. Which meant I stayed awake far too late, too often! After 30 pages, I wanted to be Sherry’s best friend. (I still do.) And here comes more praise ... I laughed out loud so many times!! This is one of the wittiest middle grade novels I've read. I So Don’t Mysteries is fun, warm, and uplifting. Though I wasn’t in Washington yesterday, shivering in the open air -- and just as I was coming to terms with how ridiculously healthy I must be, seemingly immune to the bugs and flu that, in recent weeks, have plagued almost everyone I know -- I’ve caught a nasty, stinking cold. As a result, I’ve spent too much time today clicking through vast swathes of coverage of the inauguration of the 44th President of the United States. And I confirm that, like almost everyone on the planet, I love the Obama family. I particularly love that Michelle, Malia, and Sasha dressed in such wonderful colours. 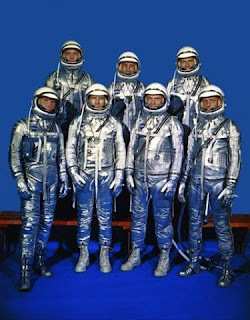 Individually, each looked great, and collectively it was a confident, contemporary palette that spoke for who they are. But it’s always a good idea to switch the lens and view events from a different angle -- especially events of great historic significance. Click on the photo for a bigger and better view. Putting a sci-fi spin on the proceedings, this photograph shows how the inauguration, and the 2 million who came to hear Barack Obama speak, looked to those in space. More like swarms of bees than people. And it left me wondering: If we are not living in a giant cosmic hologram, deep inside a black hole, then most aliens, who may have an entirely different concept to ours of scale, size, and shape, might think us an utterly insignificant race; miniature Lilliputian people of no consequence whatsoever. Was exactly how I felt earlier this week, when I began to get very uncomfortable with the new sense of warm, fuzzy calm that had engulfed me since the start of the year. At first I enjoyed it. It was new and strange and nice. And I almost convinced myself that it was good, that I had turned some kind of corner and this was how life would be from now on. Perhaps I had matured. (Oh, no!) Or perhaps I had reached a stage of enlightenment. By this Wednesday, however, I was decidedly bored with this plateau. I missed the old feeling of low-level panic, the stress -- the edge. Then, luckily, the exhaustion of working 7 days a week (counting writing on top of my usual job, which has been a bit slow this month, I admit) took hold. On top of that, I made a small series of faux pas. The warm, fuzzy calm caused me to act on a few occasions without thinking enough, or properly. I made a few comments during conversations, and probably left a couple of comments on blogs, that I regretted and if possible would have liked to retract. None of these mistakes were too big or too bad, but that does not erase them. I began to wonder: Does a lack of anxiety make us less considerate, and also less self-aware? And, yes, I think there is danger in being too pleased with one’s lot. Without the edge, without some anxiety, I also found my creativity and productivity suffered. Like most things, or so I’m told, it’s all about balance. To be too stressed is counter-productive to work and health, but to be too relaxed is not great either. 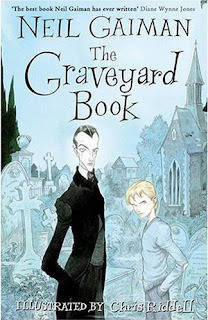 At the weekend, I finished reading The Graveyard Book by Neil Gaiman. I spent ages with this book! Such a book feeds me with something that is greater than the sum of its parts; it makes a difference, enriches me -- leaves its mark. And, as a novice novelist, by taking time with a book, as well as being entertained, I am learning. The Graveyard Book has made a difference to my own writing in the last few weeks. There was a great sense of both joy and calm in the way Neil Gaiman told this story, and I learned the value of sometimes slowing things down. Now, of course, I am addicted to his blog. A fabulous start to the reading year! I saw this fabulous quiz on Janet Reid’s blog, and of course gave in to temptation. Some call you timeless—others call you a snob. Either way, you’re a class act all around. Just don’t take yourself too seriously. 1) I was born at home with no midwife in attendance, though that wasn’t the plan. My father, certain I would die, baptised me. At my christening, the priest omitted splashing water on my head because, from what my father had said, he believed I was already baptised. To this day, my dad is not fully convinced I am properly baptised. 2) I have a tiny point on my right ear, which, as a Star Trek fan, I was incredibly proud of as a child. I believed I was half-Vulcan. 3) I love guinea pigs, horses, dogs, and wild rabbits. With a pair of peregrine falcons residing on my roof, I have a growing interest in birds of prey. 4) I like work. At the age of fourteen, I got my first job, as a waitress in a fabulous restaurant. I was the happiest (and richest) I had been in my life. 5) As a student, I worked one summer for a household in Monte Carlo, where I met the elderly, exiled Princess of Georgia -- who taught me to dowse. She used her pendulum for everything, even swinging it over a pan of green beans to find out if they were perfectly cooked. I still occasionally reach for my pendulum. 6) I am a hypocrite: I do not eat meat, but I do wear leather. To celebrate this, blog post number one-oh-oh, I thought of writing a list of one hundred wonderful things. A list that would include everything but the kitchen sink: from Appleby Horse Fair to Handmade Dolls to Awido.com. Then I remembered: I kicked the list-writing habit back in oh-eight. (Self-induced stress: be gone!) It is so much easier to write a lovely, long to-do list than it is to complete all those tasks in one day. 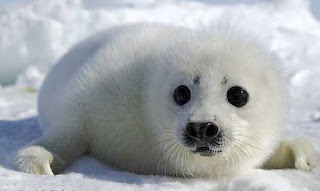 And perhaps, the fact that I no longer write to-do lists is the reason for my new sense of warm, fuzzy calm. My days used to come with an edge, a sustained feeling of low-level panic. This somehow changed as the old year flipped to the new. There is nothing more optimistic than a bright and shiny new year; that wonderful sense that a page has been turned, that the future has arrived. A new year is fresh and clean. We don’t know how it might turn out -- but it presents an opportunity to achieve our goals, to get things right. A new year is ready to be created. It is up to us how we mark it, how we shape it, how we choose to use our time. I have just one new-year’s resolution: to write -- but without setting unrealistic deadlines, which I did last year, and failed to meet. I hope 2009 will be an even year, fluid and consistent, without too much disruption, upheaval or trauma.